Advertising poster for a white sale in a department store. 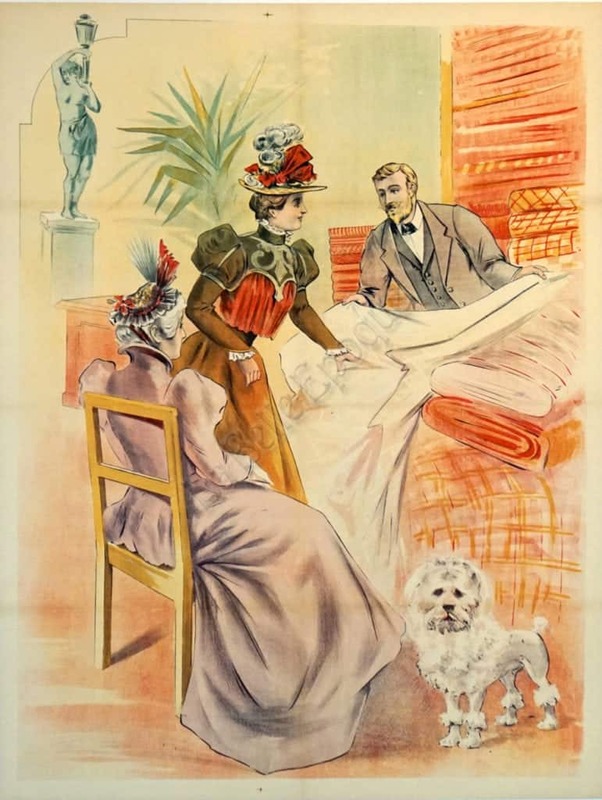 Notice the salesperson introducing the fine linens to 2 eloquent ladies, one seated on the left, and one in the center caressing the fabric. The white French Poodle stands patiently behind them. On the right side behind the salesperson, you can see the bolts of fabrics in red/orange. This poster is a rare proof; prior to the lettering phase (avant lettre). In accordance, the printer, location and signature is not shown.